Prader Willi syndrome is a genetic disorder in which sufferers eat compulsively, even rummaging in rubbish containers and taking anything that can be ingested. Logically, the sufferers who do not submit to strict dietary control become excessively obese. Without strict control of their food intake, these patients could ingest food until gastric dilatation, necrosis, hepatomegaly and intestinal perforation take place, and that would result in fatal peritonitis. 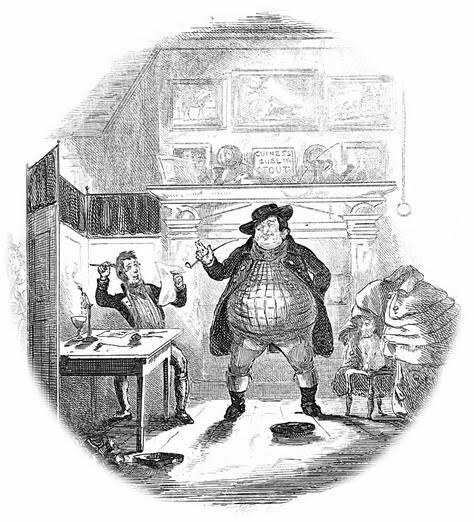 Joe, the fat and sleepy boy immortalized by Charles Dickens in Pickwick Papers, in 1836, was consistent with a case of Prader Willi Syndrome. Other cases reported in London during the second half of the nineteenth century were treated with what was known as an "animal diet" and with an extract of Fucus vesiculosus. Those treatments were not effective. [The name of this syndrome is patronymic of Swiss doctors Andrea Prader (1919-2001) and Heinrich Willi (1900-1971), who described the syndrome’s clinical picture in 1956 for several children from the Swiss Confederation, in collaboration with Alexis Labhart. Initially the syndrome was called Prader-Willi-Labhart Syndrome, but the name is now shortened to Prader Willi Syndrome, following the publication of a book in which Alexis Labhart was not involved. Andrea Prader was one of the founders of Child Endocrinology]. Beloranib, a drug for obesity, developed by Zafgen, is showing promising results with regard to the control of the obesity associated with the Prader-Willi Syndrome. The findings of a limited clinical trial, both in the number of patients and its duration, have shown that Beloranib decreased lipid synthesis, and increased lipolysis, obtaining a clear reduction in the fat mass of the people affected by this rare syndrome. The study was led by Jennifer Miller, University of Florida, USA. However, one must be very cautious because the underlying mechanisms of common obesity (considered as a disease) and those of the obesity associated with the Prader-Willi Syndrome are probably very different. Because of the sheer number of obese people, the importance of obesity for the Pharmaceutical Industry as a possible business can be indirectly advantageous for people with Prader-Willi Syndrome. A compulsive and voracious appetite is a pathognomonic symptom of Prader-Willi Syndrome, a genetic disorder whose other features include hypotonia, hypogonadism, facial dysmorphism (elongation of the face, and nasal prominence), nasal voice, col pulmonale (right ventricular hypertrophy), apnoea of sleep, behavioural disorders and mental retardation to a varying degree. The restriction of food intake is the cornerstone of treatment in order to prevent or reduce obesity and the multiple complications associated with this condition. Fluoxetine (1) has shown favourable results in controlling food intake. [Remember that antidepressants "inhibitors of serotonin re-uptake" are relatively useful in the treatment of bulimia]. The growth hormone (2) (somatotropin) helps to increase the height and reduce the body fat of the children affected, but must be monitored closely due to risk of hyperglycemia. The corporal constitution of patients with Prader-Willi Syndrome is characterized by low lean mass, high fat mass and short stature. The pattern is similar in children with growth hormone deficiency. The administration of somatotropin to these children has been approved by the Food and Drug Administration under the criterion of compassionate use. Prader-Willi Syndrome is a genetic disorder resulting in an alteration in one or more genes. As far as we know, this genetic alteration affects a region of chromosome 15. The prevalence the Prader-Willi Syndrome is 1 in 15,000 live births. It is the result of a mutation or deletion of a critical region of chromosome 15 inherited from the father (chromosome 15 q11-q13). Approximately 60% of patients with the Prader-Willi Syndrome are a consequence of this deletion. And about 30% of patients have a maternal disomy of chromosome 15 (both chromosomes 15 come from the mother, due to a “mistake” during mitosis).The remaining 10% of cases are presumed to be due to various point mutations or micro-deletions on chromosome 15 inherited from the father. The genetic defect that triggers Willis-Prader disrupts the normal operation of the hypothalamus. Among other transcendental functions, the hypothalamus regulates the sensation of hunger and thirst, releasing hormones responsible for growth and sexual development and other systemic effects. A malfunction of the hypothalamus as a result of a defect in chromosome 15, alters the sophisticated operation of this complex network of interactions, resulting in a feeling of unbridled hunger without feeling full, along with another myriad of signs and symptoms characteristic of the Prader-Willi Syndrome. Courses of treatment with androgen have also been employed. These treatments can improve body composition but carry the risk of aggravating the already abnormal conduct of these patients. The Prader-Willi Syndrome is part of a broader set of clinical pictures related to hypothalamic function, such as Kleine-Levin Syndrome (where hyperphagia periods alternate with extreme drowsiness); and hyperphagia subsequent to surgery (craniopharyngioma) or irradiation. The clinical trial with Beloranib involved only 17 people who were studied for only four weeks. When the parameter used was weight reduction, the difference between the results obtained with this drug and a placebo showed no statistical significance. But the evaluation of the results may not be the most appropriate. The results of this limited study have not discouraged the manufacturer, Zafgen. Another pharmaceutical company, Ferring Pharmaceuticals, plans to initiate a study of its drug carbetocin(3). The mechanism of action of carbetocin (Duratocin®) mimics oxytocin, improving behavioural problems such as excessive appetite. A small study showed that using the hormone oxytocin could improve not only the behavioural problems associated with the disease but also curb binge eating. Rhythm Pharmaceuticals also has a potential anti-obesity drug, designated RM-493, that could be useful in the treatment of the Prader-Willi Syndrome, It is a peptide antagonist of the “MelanoCortin 4 Receptor” (abbreviates as MC4R). Rhythm Pharmaceuticals also has a derivative of natural ghrelin, designated RM131, in the pre-clinical study phase. Arena Pharmaceuticals, manufacturer and marketer of the drug against obesity marketed under the name Belviq® (lorcaserin[4, 5]) is also doing tests in the hope of extending the administration of the drug to children with Prader-Willi Syndrome. Likewise, there are several lines of research being carried out in the academic world to try to find potentially useful drugs for this rare genetic disorder. “The main problem is gathering a sufficient number of people affected by this disorder to be able to conduct clinical studies from which it may be possible to extrapolate results that are statistically significant”, said Theresa Strong, President of the Scientific Advisory Board of the Foundation for Prader Willi Syndrome. Prader-Willi Syndrome patients do not only have a voracious appetite that leads them to seek food in rubbish bins despite being well nourished, but their metabolism is also slow. Both conditions determine an inexorable tendency to gain weight. The situation is complex because they often have mental retardation and autistic behaviour. The efforts of the families and carers of these patients are aimed at controlling the weight of these patients. Understanding the underlying mechanisms of the Prader-Willi Disease would be useful for understanding many other eating disorders (anorexia and bulimia, being the most well-known) and the tendency to become excessively overweight. The results of experimental studies found low levels of the neurotrophic factor in patients’ blood. It has also been discovered that people with the Prader-Willi Syndrome have elevated levels of the hormone ghrelin, unlike the types of obesity caused by other factors. The approval of beloranib for the treatment of obesity will require tests on thousands of patients and the possible side effects will have to be taken into account. However, approval of this drug for patients with the Prader-Willi Syndrome would possibly be authorised as “breakthrough approval”, and so the clinical trial on only hundreds of patients would be sufficient. 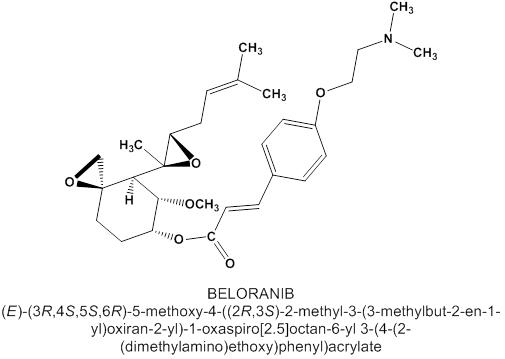 Beloranib acts by inhibiting the hormone "methionine aminopeptidase-2". The inhibition of this enzyme stimulates lipid synthesis and inhibits lipolysis. 17 patients in the study mentioned earlier were residents of a home for people with Prader-Willi Syndrome, in Gainesville, Florida, USA, where their caloric intake was controlled. During the study period, daily caloric intake was increased by 50% to assess whether the drug beloranib affects appetite and weight. The Prader Willi Syndrome Association was established in America in 1975, and the Prader-Willi United Kingdom Association was created in 1980. 1. Goldbloom DS, Olmsted MP. Pharmacotherapy of bullimia nervosa with fluoxetine: assessment of clinically significant attitudinal change. Am J Psychiatry 1993; 150: 770-4. 2. Collett-Solberg PF. Update in growth hormone therapy of children. J Clin Endocrinol Metab 2011; 96: 573-9. 3. Public summary of opinion on orphan designation. Carbetocin for the treatment of Prader Willi Syndrome. 4 April 2012. EMA/COMP/69949/2012. Committee for Orphan Medicine Products. 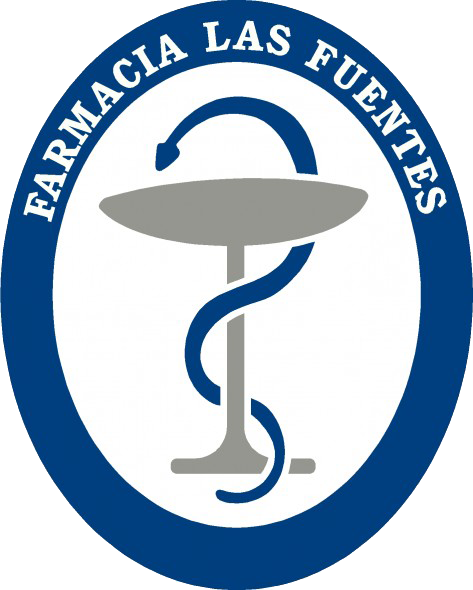 European Medicines Agency. 4. Smith SR, et al. Behavioral Modification and Lorsaerin for Overweight and Obesity Management (BLOOM) Study Group. Multicentre, placebo-controlled trial of lorcaserin for weigth management. N Engl J Med 2010; 363: 245-56. 5. Redman LM, Ravussin E. Lorcaserin for the treatment obesity. Drugs Today 2010; 46: 901-10.